Auggie sniffed at the A and ran away because he disturbed the B in the hay! 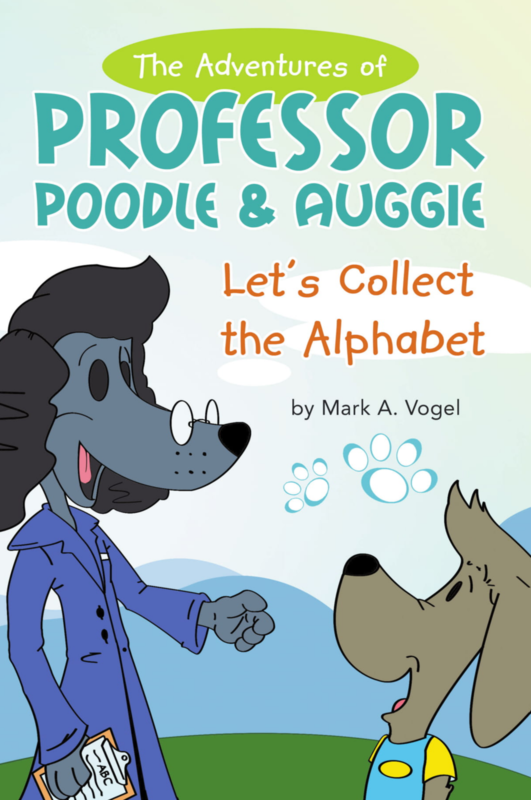 Will Auggie the Doggie and Professor Poodle find all the letters of the alphabet? Read Mark Vogel's…The Adventures of Professor Poodle and Auggie: Let's Collect the Alphabet to find out. Mark Vogel retired from the United States Coast Guard in 2006 and currently lives in Chesapeake, Virginia with his wife Grace. They have three son's, Christopher, Matthew and Adam and three grandchildren, Skylar, Rylee and Owen. 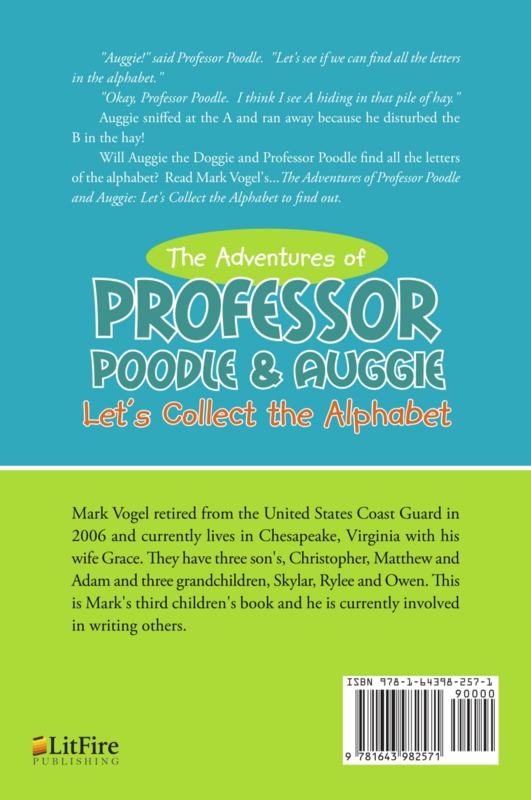 This is Mark's third children's book and he is currently involved in writing others. Categories: Children's Book, Juvenile Fiction.